Isn’t it amazing how being human involves unrelenting, constant change? My body feels like my body. It’s always felt like my body. But there isn’t a single cell in this body today which was here when I was a child. In fact all of the cells which make up this body are continuously being renewed. Some die off, others are born. So what is this “me”? And, at this point, I just mean my physical being. Goodness knows how you pin down the subjective “self” that is me! I create that every moment of every day. With all this constant change, how come I retain a consistent identity? I certainly don’t feel I am a “thing”……I’m not even sure what a “thing” is! What I mean is I am not an object. I cannot be reduced to my “substance”, my cells, my molecules, my DNA even. The totality of me is more than that, and the totality of me, right here, right now, had never existed before, and won’t exist exactly like this by the time you read this. I think I’m a wave. What I mean is I am more like a wave, than an object. Have you ever stopped to think about what a wave is? You can spot a wave far out from the shore and follow it as it heads towards the rocks or the sand, but that wave is not an “it”. 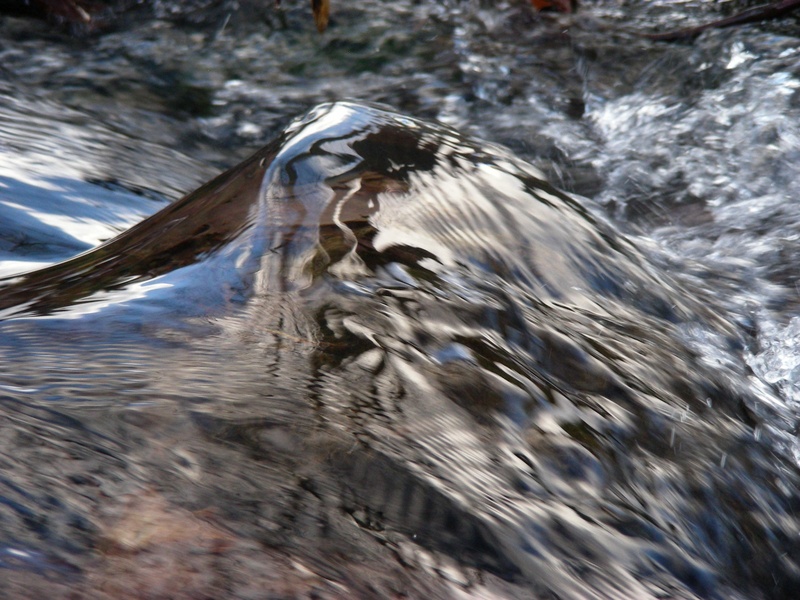 The water particles which make up the wave stay pretty much where they are. As the wave passes through the water, the particles just move up and down in a circular motion. They don’t actually head together towards the shore. Here’s a couple of quotes from other authors about waves. The truth is that life is not material and that the life stream is not a substance. You are a wave. Every minute you say goodbye to more than a billion combinations of post synaptic receptors in your brain and replace them with new ones. You do the same with the cells that line your digestive tract and make up your skin. And you constantly shift your mind from one obsession to another. Yet you retain an identity. Something more puzzling than mere substance continues to impose the shifting flicker of a you…..Your identity is a pattern holding sway over a hundred trillion cells that change constantly…….Your self is a dance that uses matter to whisk from the invisible and the impossible into the gasses, dusts, and jellies of reality.